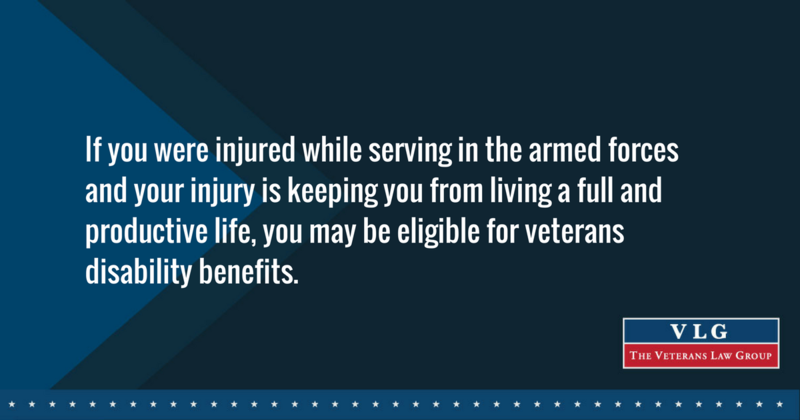 If you were injured while serving in the armed forces and your injury is keeping you from living a full and productive life, you may be eligible for veterans disability benefits. A strong claim for disability benefits can only be made with relevant and supporting medical records. Medical records can help establish the date of your injury, the cause of the injury, the severity of the injury, and how this injury continues to impact your ability to function today. Do I Need To Request Copies of My Medical Records? When filing a “standard” claim, the VA is responsible for obtaining medical records from the federal agencies and requesting records from private treatment providers that you have identified on your application. As you can imagine, this is a huge undertaking for the VA because of the significant number of veterans filing for disability benefits each year. The VA will make a reasonable effort to get your records; however, this does not mean that all of the requested records will be sent to the VA or that the records will be complete. As a result, the VA may make a decision about your eligibility for benefits that may not be based on all of the facts. When filing a “Fully Developed Claim,” you are responsible for gathering and providing all of the relevant medical records with your application for benefits. This means that when you submit your application, you will certify that all of the relevant evidence has been included and the VA will use that information to make a decision about your claim. Again, if any records are missing or incomplete, the VA may not be able to see that your current impairment is related to an injury from your military service or they may not understand the severity or impact of the injury. Whichever option you choose, it is important to make sure that the VA has ALL of the relevant evidence in their possession when reviewing your claim. This can only be done by requesting and submitting the medical records yourself (or with the help of your VSO). Service Treatment Records contain details of the outpatient, dental, and mental health treatment received by an individual while in the service; for example, physicals, routine medical care, lab tests, etc. Depending on your separation date, these records are filed in various facilities around the country (See https://www.archives.gov/veterans/military-service-records/medical-records.html to determine the location of your records). Clinical Records contain the information from the hospitalizations of active duty members (inpatient stays). These records are held at the National Personnel Records Center (NPRC) under the name of the treating hospital. Requests for health and clinical records can be made online; or by mail or fax using Standard Form 180. VAMC Treatment Records contain the treatment information for eligible veterans after separation from the service at VA medical centers. These records are stored at the facility where treatment was performed. Therefore, you must contact each facility and submit a written request to receive a copy of your VA treatment records. Private Medical Records contain medical information from any doctor, therapist, or treatment facility outside of the VA or other military service-related treatment. Similar to the VA records, requests for copies of any private medical records must be submitted to the treating facility or physician. Some physicians charge a fee for your records. Check with your VSO to see if your state requires physicians to offer a discount (sometimes free) for records that are being used to support a disability claim. Please note, if the VA requests private medical records and the provider charges a fee the VA will not pay this fee. You will need to get the records and provide them to the VA. Preparing your application for VA disability benefits can be overwhelming and frustrating, but finding answers to your disability claims questions doesn’t have to be difficult. Take our free quiz today to determine what resources are available for your specific needs.